As part of a police special task force, it’s up to you to fight against mysterious, alien-like creatures who have invaded the world. In the Ark, a multi-cultural city in the near future, disaster strikes when gates to another dimension suddenly appear! Dangerous creatures begin to emerge, attacking the people and polluting the land, and normal police forces are unable to compete with them. To stand up against these threats, a brand new, special police unit known as Neuron is formed. Choose between two playable characters – one male, one female – on your adventure. The character you don’t choose also appears as your younger twin, and a fellow member of Neuron. In order to resist the creatures, humanity developed a special weapon: the Legion. The Legion acts as your partner, and helps with your investigations. However, it’s in battle where the Legion shows its real ability. 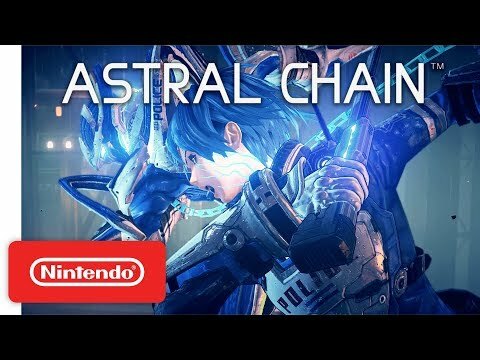 The upcoming Astral Chain Switch release date is August 30, 2019 in the US and the UK. Notify me when Astral Chain is available.